Ball Clay FX or FX Ballclay is typically incorporated into ceramic bodies to improve workability and green strength. 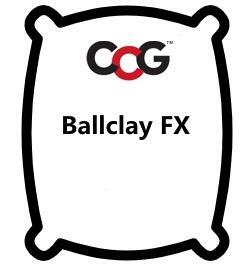 Ballclay FX is produced from a homogeneous clay deposit to ensure consistent chemical properties. The milling process ensures consistent sizing resulting in high quality ball clay. Ballclay FX is an off-white colour with low moisture. Ballclay FX is tested and controlled to rigorous standards which ensure consistent chemical and physical properties resulting in predictable and repeatable performance. It is also finds use in applications such as adhesives, chemical pesticide carrier as well as brick and tile manufacture.